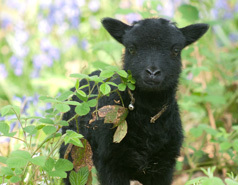 The Hebridean Sheep Society has a range of educational and information resources. Hebridean Sheep: Old Breed for New Times is a comprehensive book, compiled and published by the Society. It draws on the knowledge and practical experience of breeders who have been involved with Hebridean sheep for many years. Black Sheep is the year book for members with reviews of the year's events, show results and reports and a wide range of articles from flock profiles to research findings. Black Book is the annual flock book for registering members (an electronic archive is available for members only) . For New Owners provides advice to new sheep keepers about how to obtain a holding number, registering their flock and what is needed to comply with DEFRA regulations. Showing Sheep gives tips from experienced sheep handlers and judges for those who are thinking about taking their sheep into the show ring. Technical Papers reveal details about the genetics and characteristics of Hebridean Sheep. 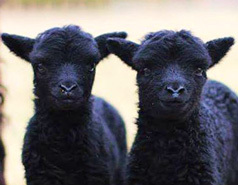 allows current members to advertise free of charge any Hebridean Sheep or Hebridean sheep products that they have for sale. provides links to a variety of external sites that may be of interest to members. hosts links to its members' website in order to assist in the preservation ands promotion of the breed. If you cannot find what you are looking for on this website, then please contact us and we will try to assist you.